Owner Philip Kloppenburg started Out of This World Taxidermy almost two decades ago in beautiful Southeastern New Mexico, in the town of Roswell. OTWT has experienced growth in virtually every area in business and today is a successful taxidermy business, doing business with clients all over the United States. In all that time, Phil’s mission has not changed: Out of This World Taxidermy has stayed dedicated to providing exceptional service and value to our clients. 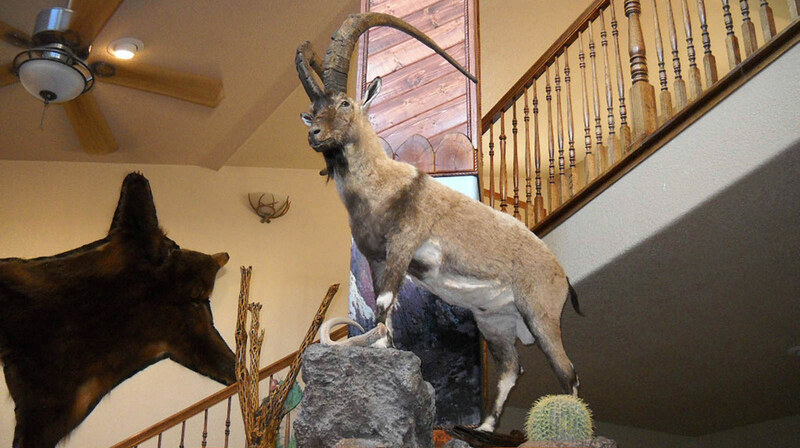 We are a full-time Taxidermy Business that keeps your trophies a priority. We strive to make every new client a patron for life through quality, integrity, and creativity. We work with North American species including Elk, Deer, Antelope, and Bear. Exotic species such as Axis Deer, Barbary Sheep, and Black Buck Antelope. Among our favorite to work with are the African animals. From herbivores to dangerous game, we love them all! We also offer custom mounts on all trophies to turn your trophy into a “one of a kind” work of art. Further, we are a USDA Approved Facility so wherever your hunting travels take you, we can accept your trophies from around the world.